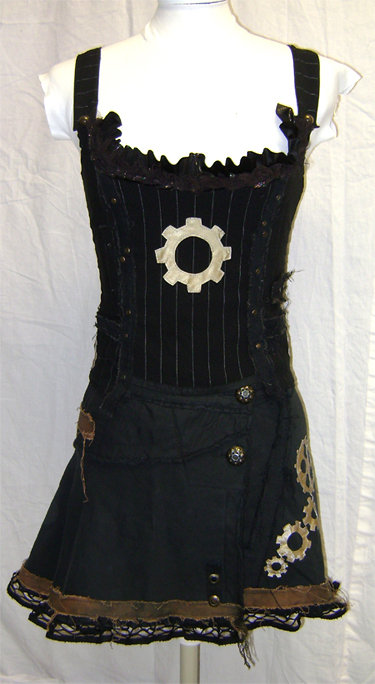 steampunk clothes & jewellery for sale! If more folks are now on Facebook instead of here, what pages are you going to please? I'm actually getting rid of some crafting supplies that I was using to make Victorian/steampunk inspired stuff. My roommate is getting rid of some nice fabric and historical costumes. 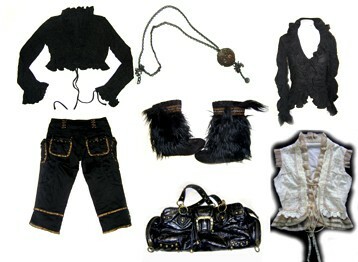 Craft supplies, collectibles, household goods, clothing and costumes. Did we mention craft supplies? ? Fabric, beads, ribbon, crafting tools, yarn, and MORE! Well hello there, mass_steam LJ! Yeah, everyone's abandoned you for Facebook these days, but just in case I wanted to make sure everyone here knows about the upcoming Watch City Festival in Waltham, MA! It's running the weekend of May 12-13, with some events the evening of Friday the 11th. Some outdoor events will be free, but other events will require the purchase of a festival button. Button sales go to support the Charles River Museum of Industry and Innovation in Waltham. Things kick off Friday night with the Mayor's Election Night Party at the Watch City Brewing Company. Then on Saturday and Sunday we'll be going all day with vendors, musicians, lectures, movies, author signings, a mermaid, a hot air balloon, and more! Visit http://watchcityfestival.org or https://www.facebook.com/home.php#!/CRMISteampunkFestival for information. This is a new find for me. I have never heard of this mansion before. On Saturday, Jan 14 Gore Place in Waltham will have an actor portraying Poe read to a live audience in one of the mansion rooms. I'm there. I just called and there are still tix available. I'll be at the 5:30 if anyone wants to say hi. DJChris Ewen & DJ Anomaly Stoke the Coals with Goth and Industrial Maladies to get your Pistons Pumping! Terri Pours the Green Fairy in the Lounge! Special cog-busting burlesque performance by Delilah Shameless! DRESS CODE: Goth, Fetish, Industrial, Steampunk, Victorian, Edwardian, Creative Attire Encouraged. MINIMUM ALL BLACK! December is just around the corner- dust off your hats and goggles and mark your calendars! Time Travelers' Costume Ball this FRIDAY! • Art-soul band, What Time Is It, Mr. Fox? relativity, culminating in a mind-altering dance party. at Machine 1254 Boylston Street Boston, MA. Seating is general admission. Cover is $15 at the door.